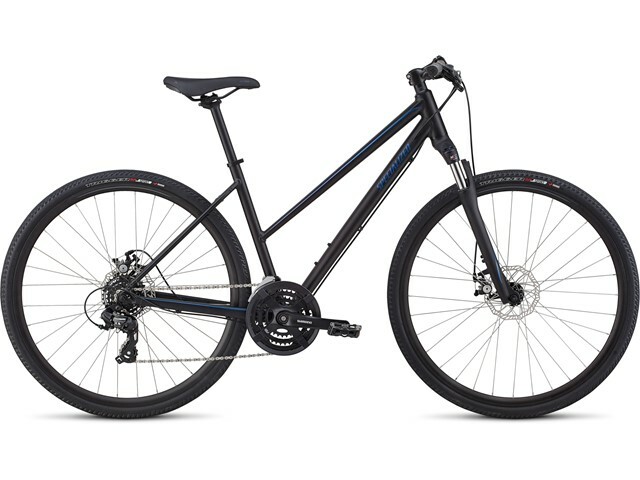 Designed for women who want to mix adventure with fitness, the hard-working, sturdy A1 Premium Aluminum frame features our Women’s Fitness Geometry—meaning that you’ll go faster with maximum efficiency, only without the discomfort of an aggressive ride position, and a Step-Through frame that makes putting a foot down easy. The more comfortable you are, the longer you’ll ride. Mechanical disc brakes provide the stopping power and reliability you need without the hassle of bleeding them. An SR Suntour NEX fork w/ Multi-Circuit Damping technology features 60mm of coil-sprung travel that takes the sting out of bumpy terrain.